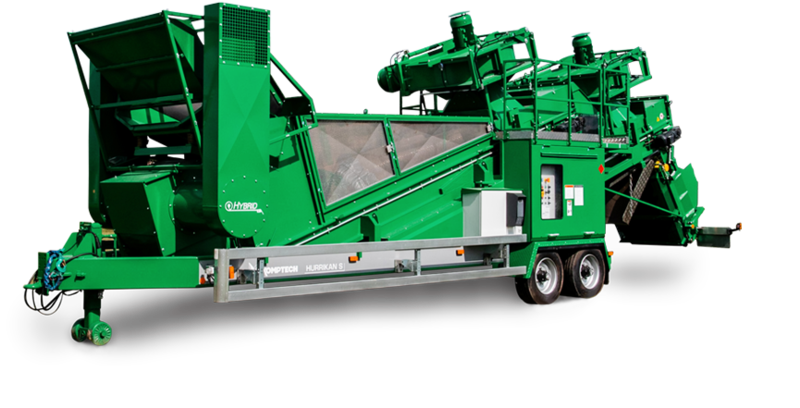 The Hurrikan S is a mobile, high-throughput windsifter that efficiently removes light plastics, film and foils from screened overflow particles using a patented “pressure-suction“ process that enables an effective separation and removal of light fractions from screened compost in two steps. First, material is separated by a targeted air knife. Then, lightweight material is drawn out by a powerful suction blower, adjustable to separate material by variation of blower speed, blower distance and vent flaps. Improve the quality of your finished products even further by using magnet separation and a stone trap. Ensure effective separation of lightweight fractions from the screen overflow with a powerful pressure-suction system with two suction blowers. A vibrating material feeder with enclosure shakes material to keep it moving while preventing backups and increasing your throughput. 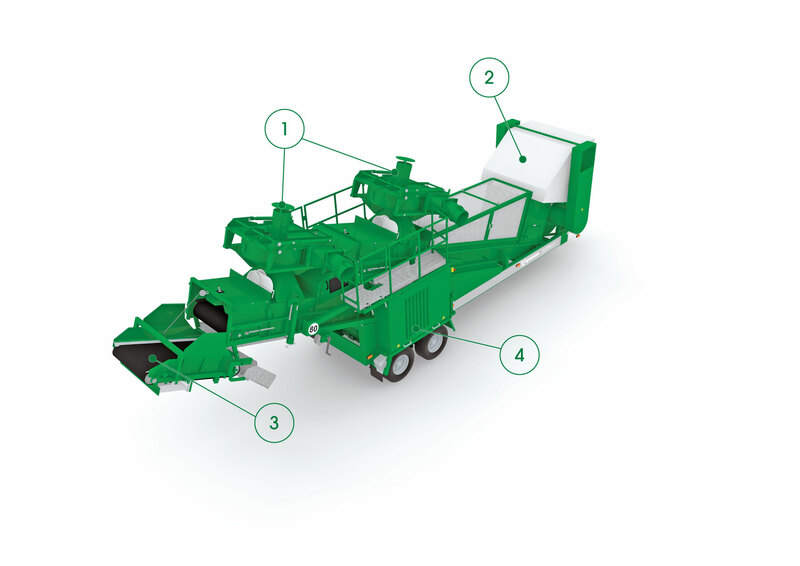 The Hurrikan S features an optional magnetic drum and stone separator - round, heavy objects (mostly rocks) roll down an adjustable-slope conveyor to a chute and away. Gain maximum mobility thanks to four rugged wheels, simple hitch hook up, and independent operation with on-board diesel power unit. HAVE A QUESTION ABOUT THE HURRIKAN S?